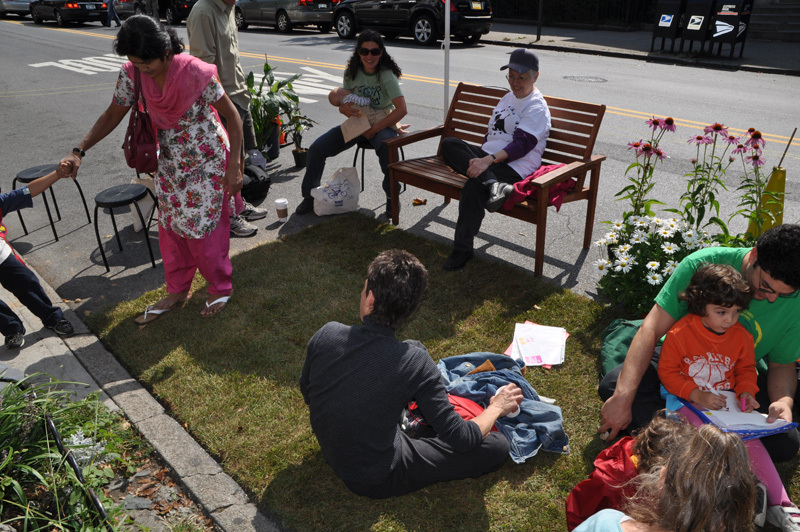 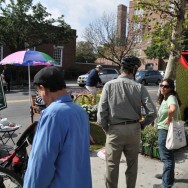 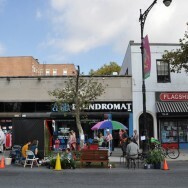 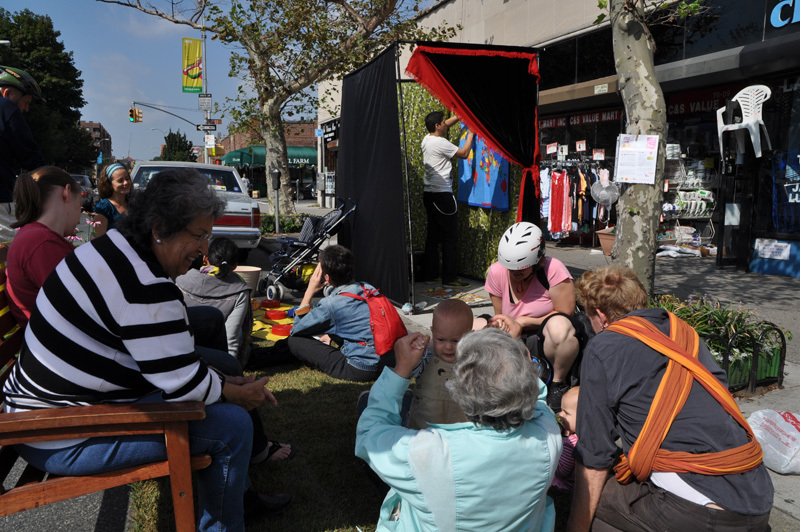 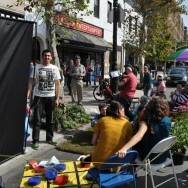 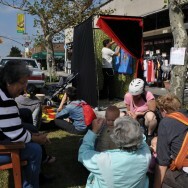 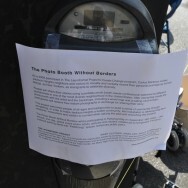 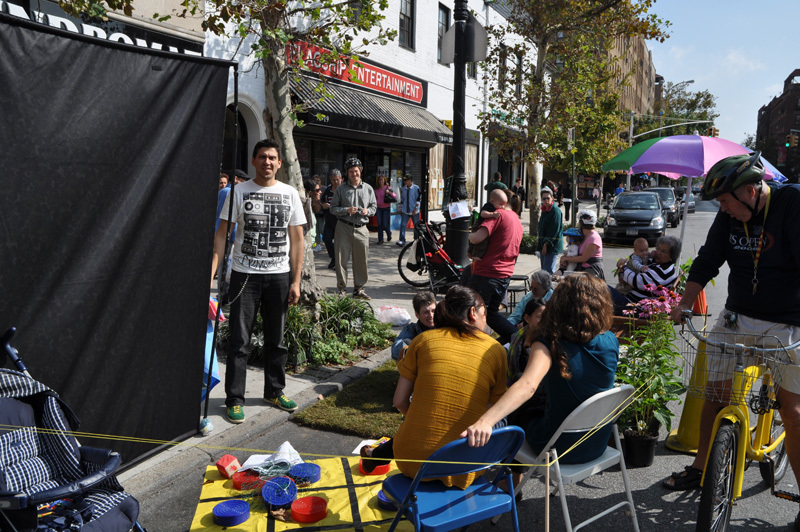 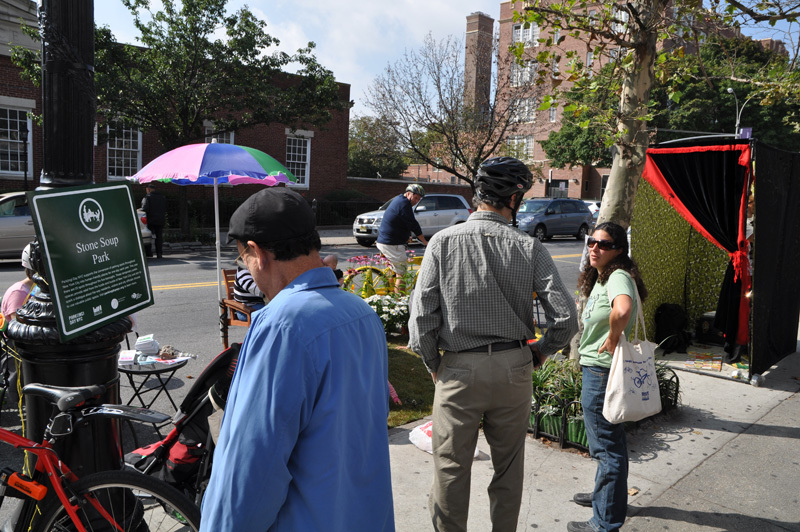 Last Friday was Park(ing) Day, a gloriously day when parking spots around the nation are claimed as one-day parkettes. 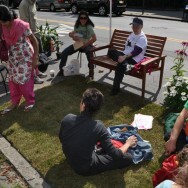 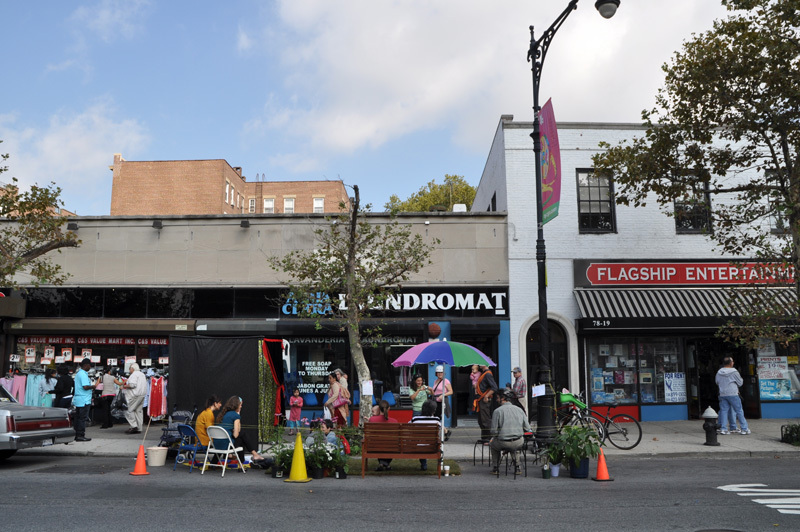 While 55 momentary parks cropped up across New York, only 1 of them was in Queens–Jackson Heights to be more precise. 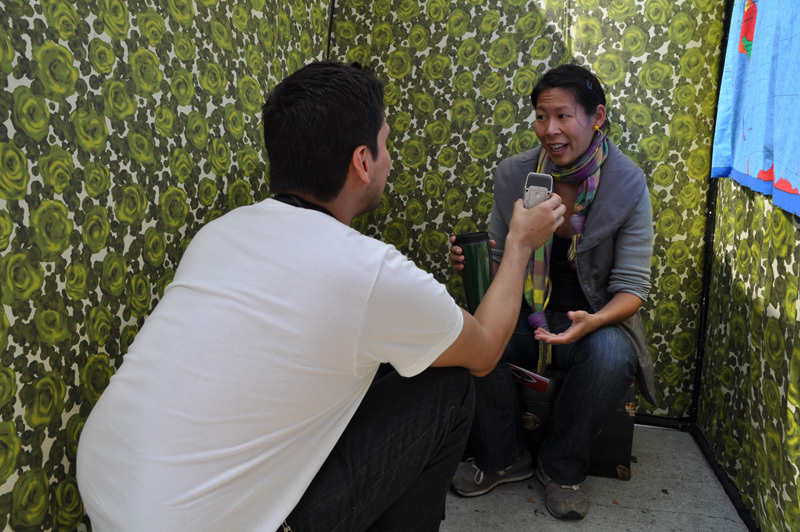 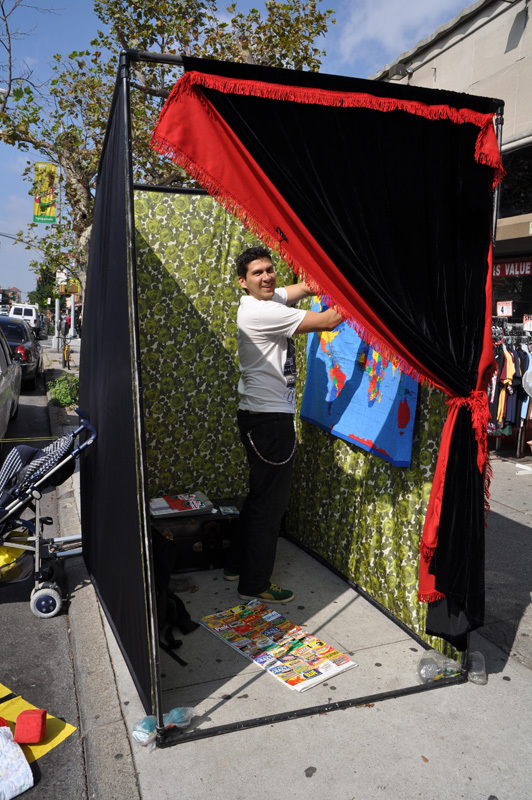 Carlos Martinez is a Colombian-American artist on a mission to document the stories and images of the people he encounters with his mobile photo studio. 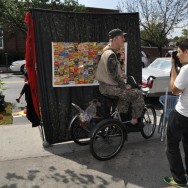 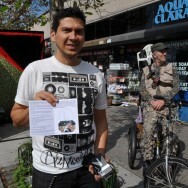 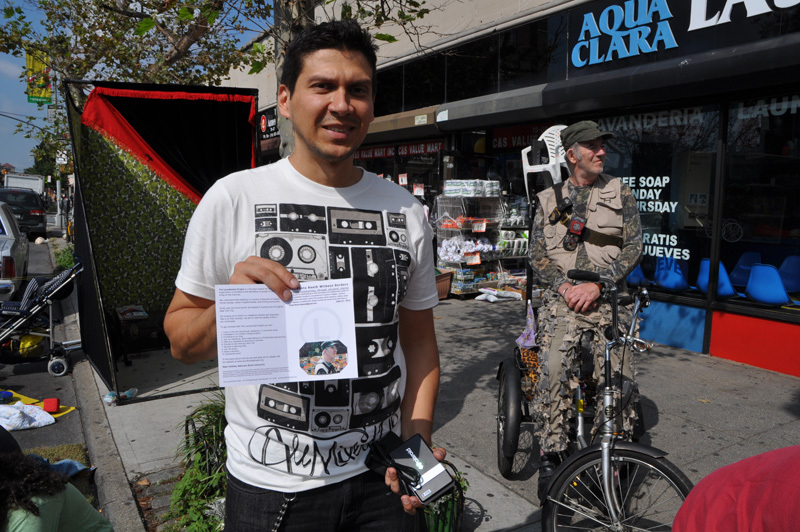 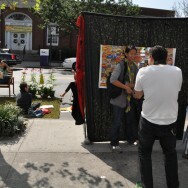 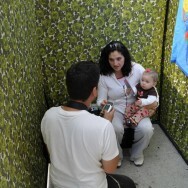 Last Friday, his photo booth was parked beside “Stone Soup Park” outside the Aqua Clara Laundromat on 37th Ave. 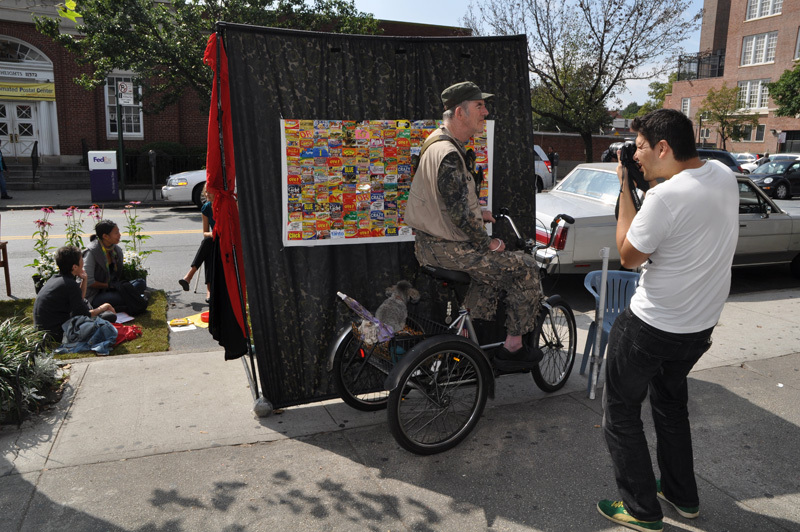 He is a participant in the Laundromat Project‘s Create Change Public Artist Residency program and he is the artist I will be writing about as a writer resident to the program. 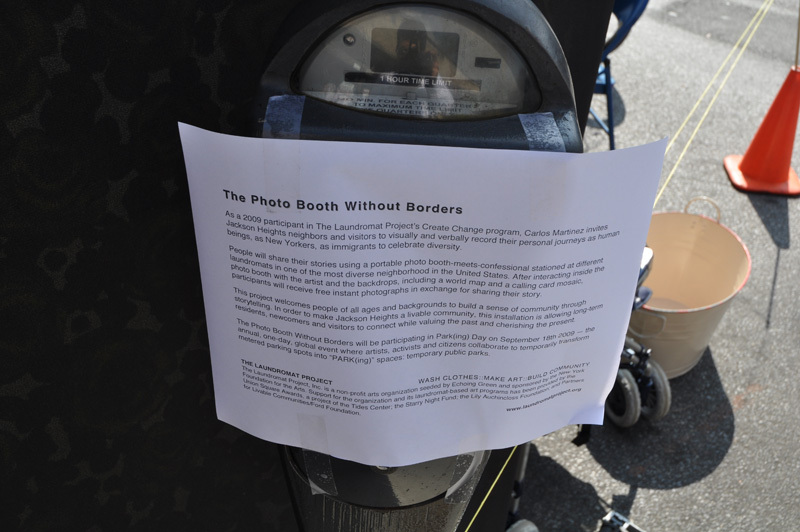 While I’m still working on my essay on his project, feel free to check out my photo series from Jackson Heights here…also here. 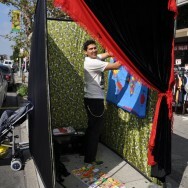 Read Hrag’s original posting here. 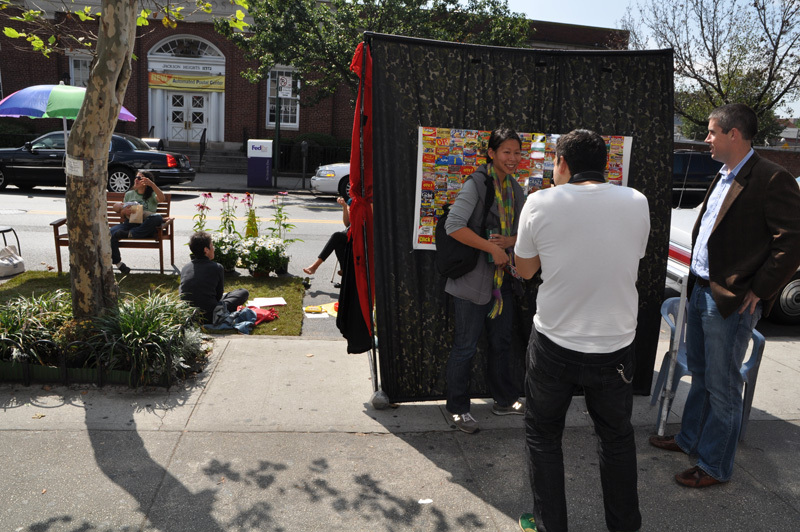 All photos by Hrag Vartanian.